Anniversary of the First Cabinet of the Kurdish Government is observed in Iraqi Kurdistan on April 25 ever year. Like most observances in the Kurdistan Region of Iraq, it is a working day when government agencies and businesses are open. Iraqi Kurdistan is an autonomous region located in Northern Iraq. Populated mostly by Kurds, it is generally considered one of the four parts of Greater Kurdistan. Baghdad first agreed to recognize Kurdish autonomy in 1970, but the Iraqi government and the Kurds failed to reach an agreement, which resulted in almost two decades of Kurdish insurgency in northern Iraq. The conflict between the Kurds and the Iraqi government reached its peak during the Iran-Iraq War, when Saddam Hussein’s government implemented anti-Kurdish policies and eventually carried out a genocide on the Kurdish people. The situation began to change for the better in 1991, following the success of Operation Desert Storm. The Iraqi government withdrew its military from Kurdistan, allowing the region to function de facto independently. The first parliamentary elections in Iraqi Kurdistan were held in June 1992, and the Kurdistan Regional Government was formed shortly afterwards. 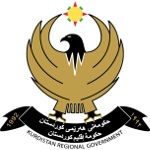 The government of Iraqi Kurdistan is selected by the majority party or parties. As of 2018, the cabinet is composed mainly of the Kurdistan Democratic Party and the Patriotic Union of Kurdistan, the region’s two governing parties.